It happens that you're invited to a meeting for the next week like a class-reunion. Or you have an important business meeting in two days. So, you rush to your wardrobe, find your best costume - that you don't wear often, just to find out, that it won't fit on your tummy or on your hips anymore. Oh dear. What to do now? Don't panic. This is when a bit of cheating is allowed. 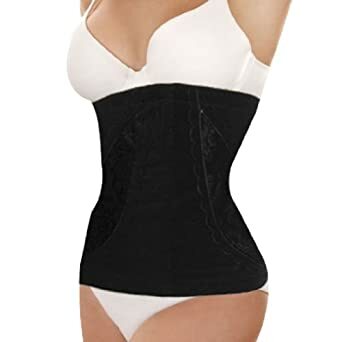 Buy yourself a 'slimming underwear' which would easily allow you to do the buttons, the zip, or just to hide your tummy. There are different variations of these undies and they are not that terrible nowadays.